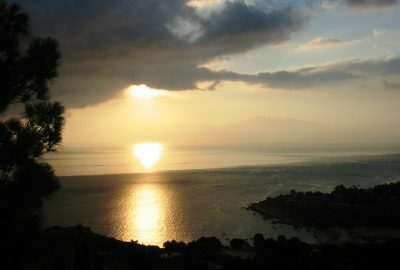 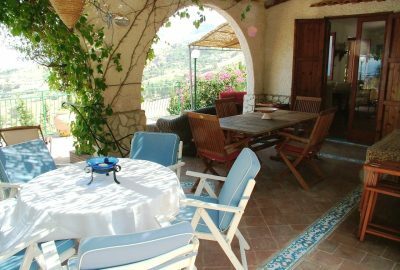 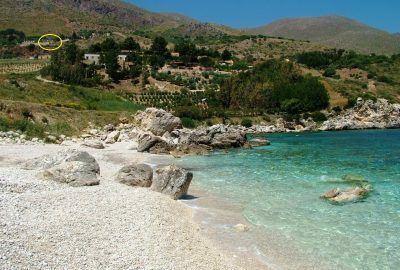 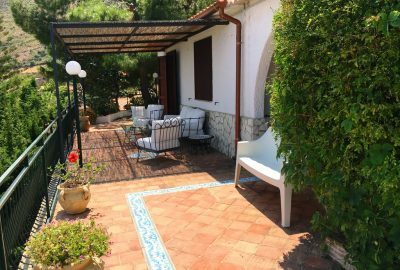 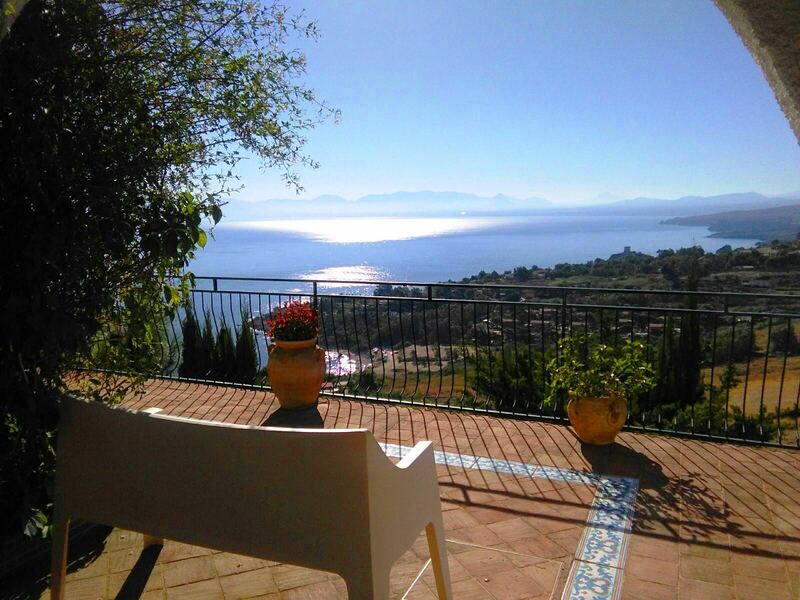 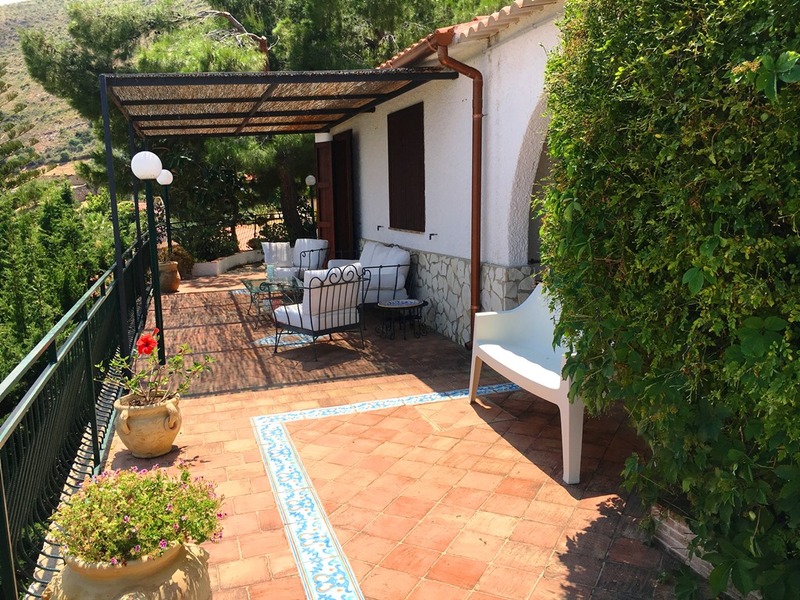 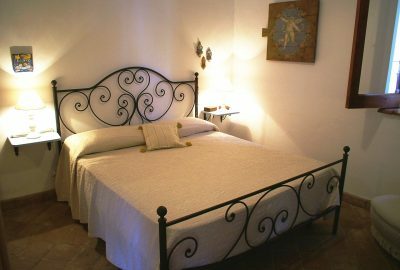 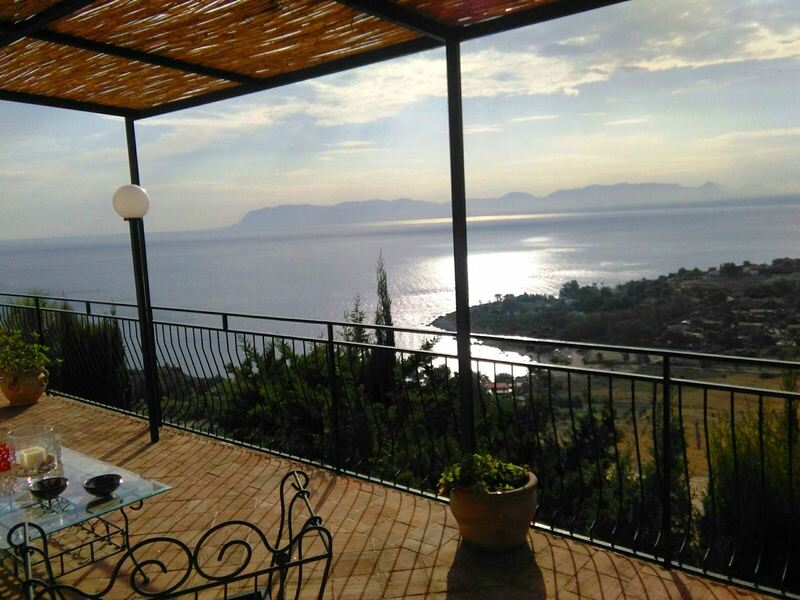 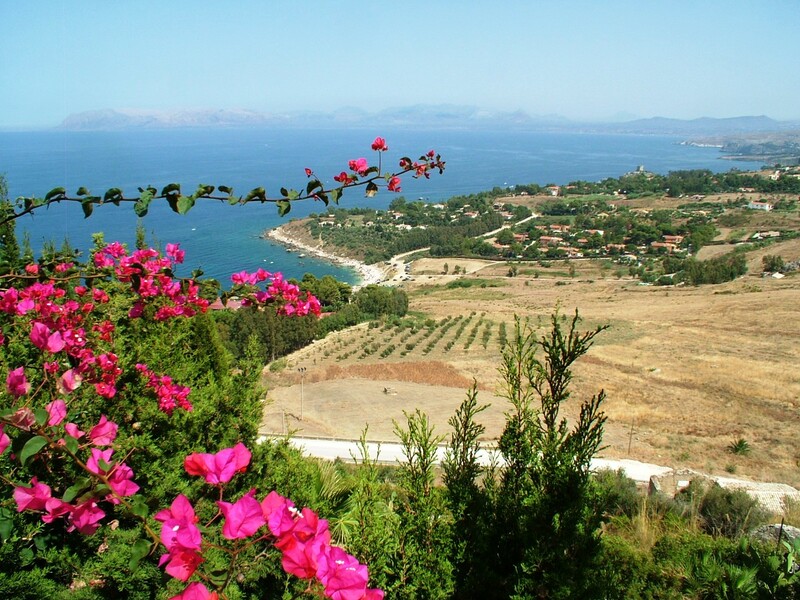 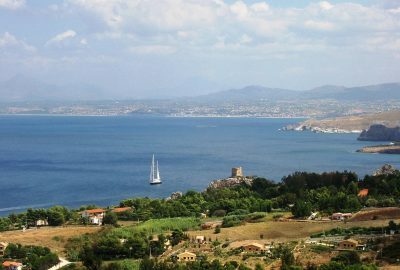 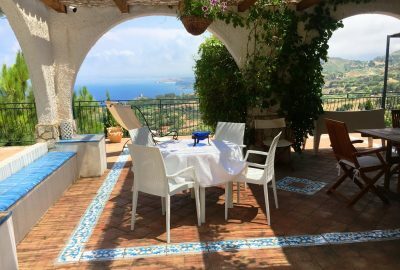 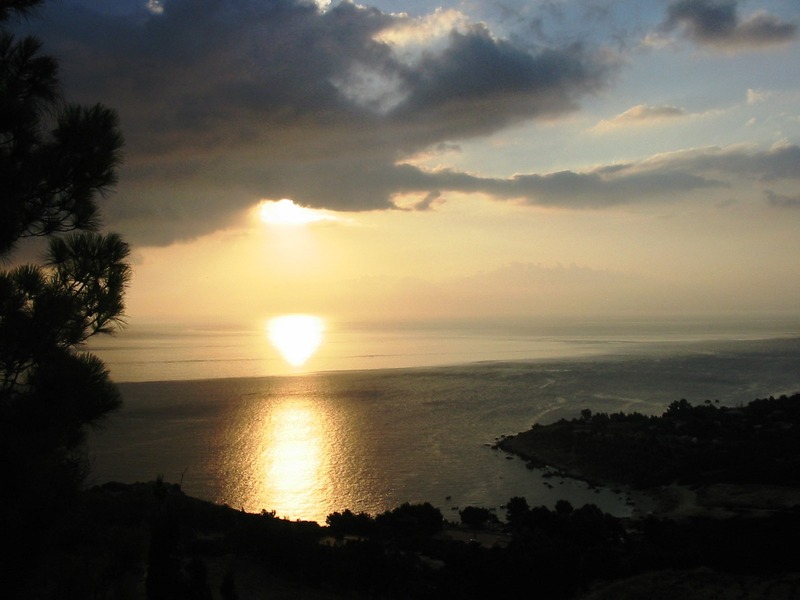 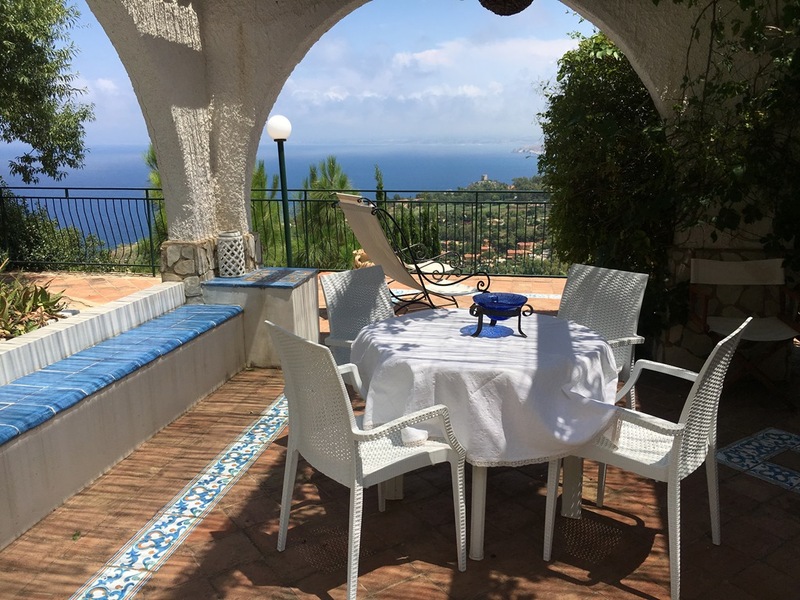 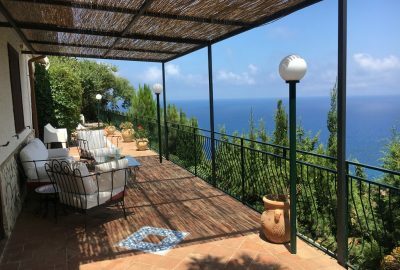 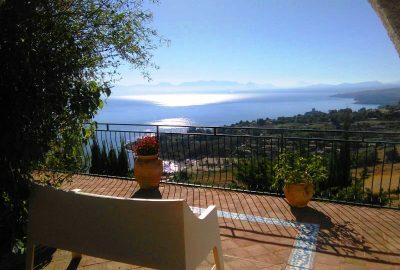 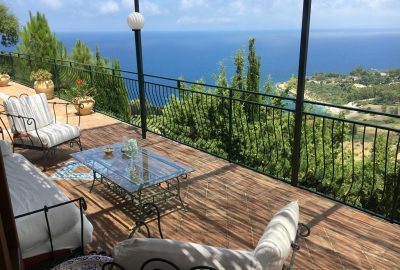 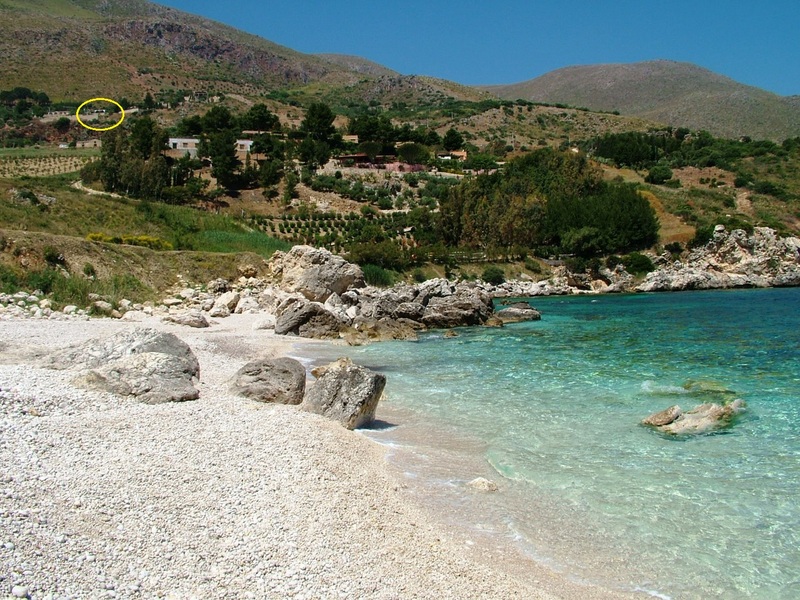 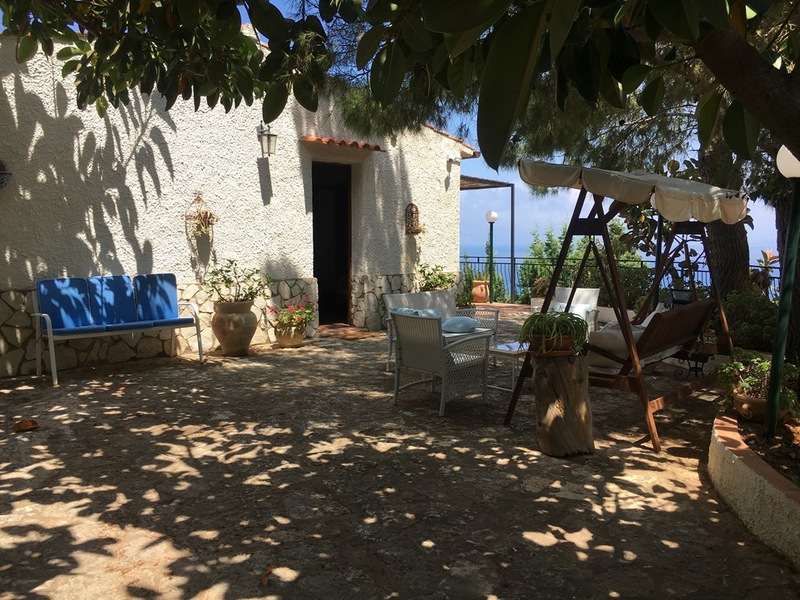 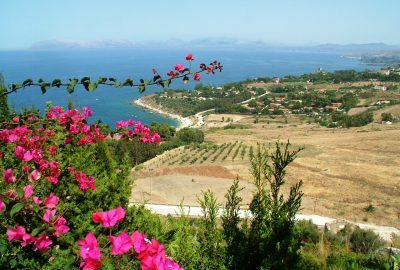 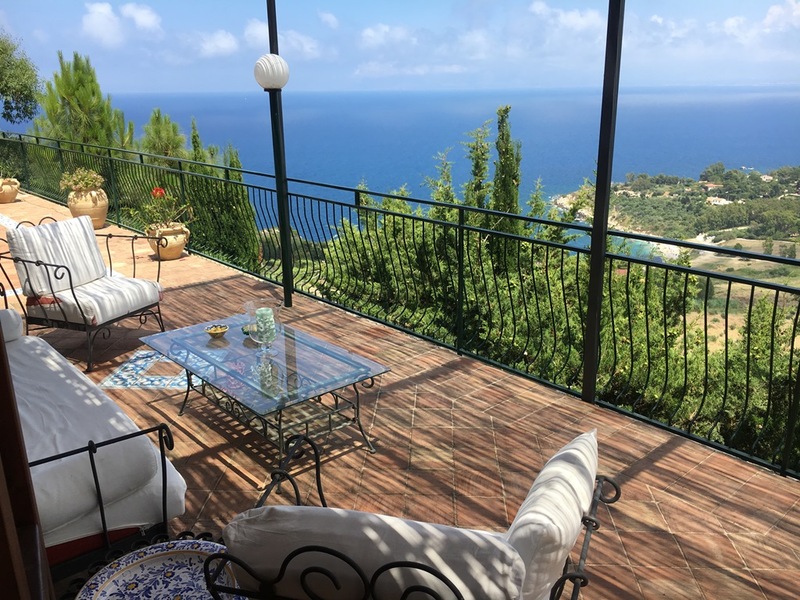 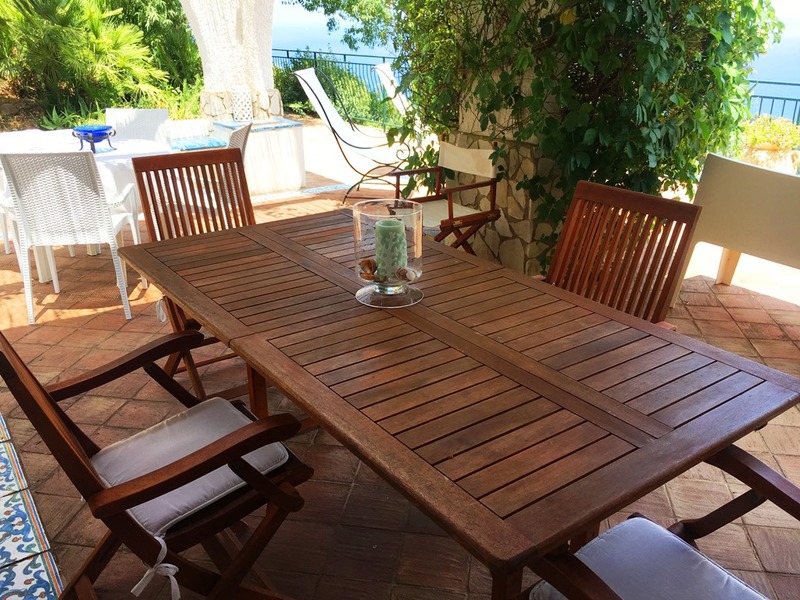 Bordering the natural reserve of the Zingaro, on the north-west of the island and 2 kilometers from the enchanting village of Scopello, Villa Federica e Carlotta offers breathtaking views of the sea. 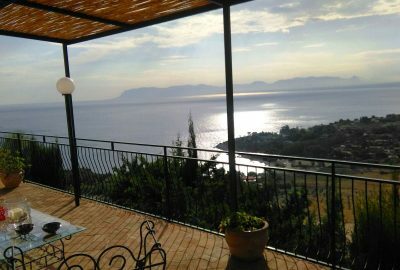 Its panoramic position, its privacy and the beauty of the landscape make this villa a unique place where one feels privileged. 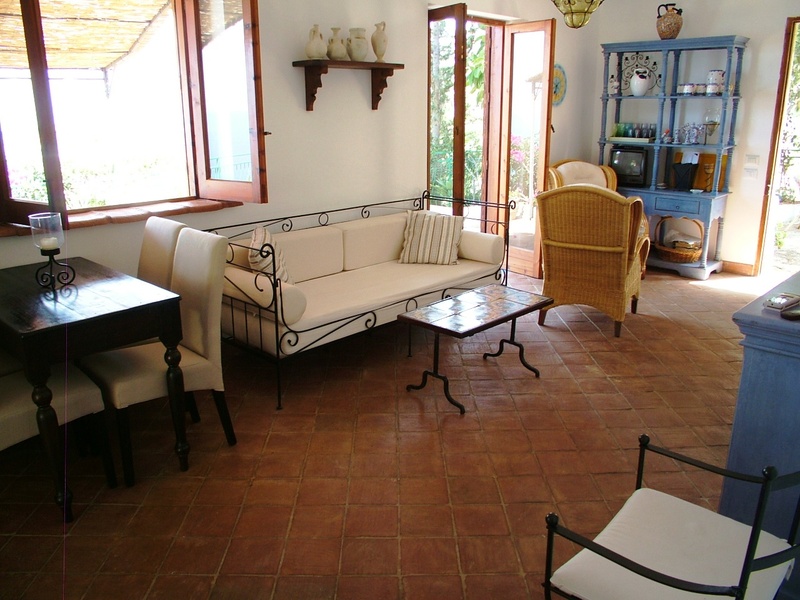 The driveway can accommodate two cars and leads to the terrace that surrounds the whole house. 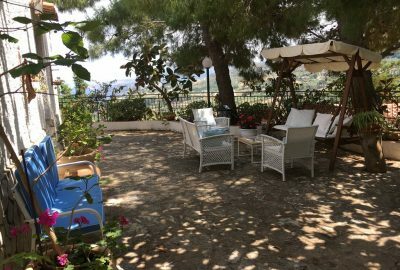 Near the front door, the terrace is shaded by majestic pine trees and shelters two small salons with armchairs and tables. 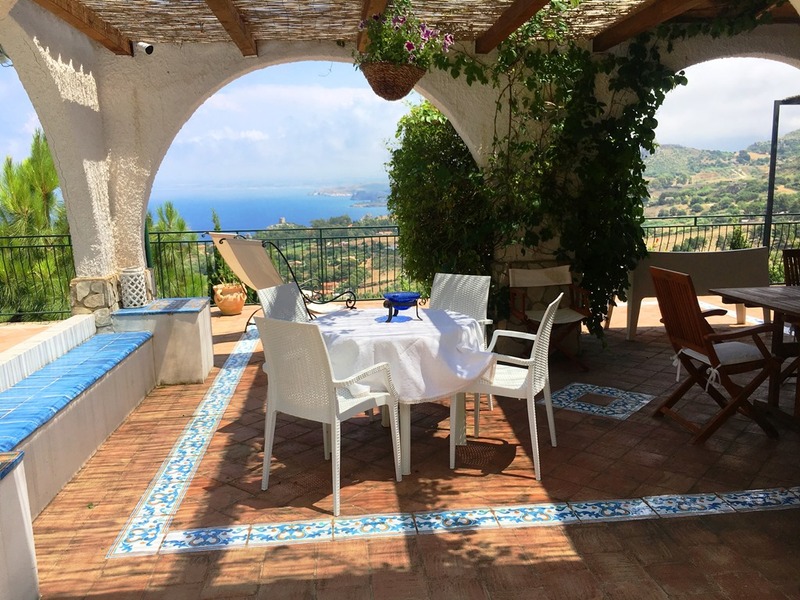 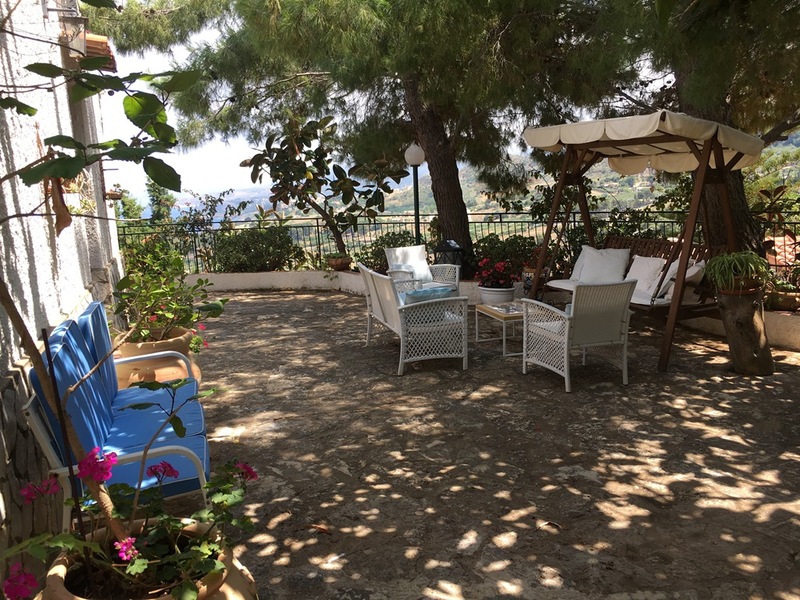 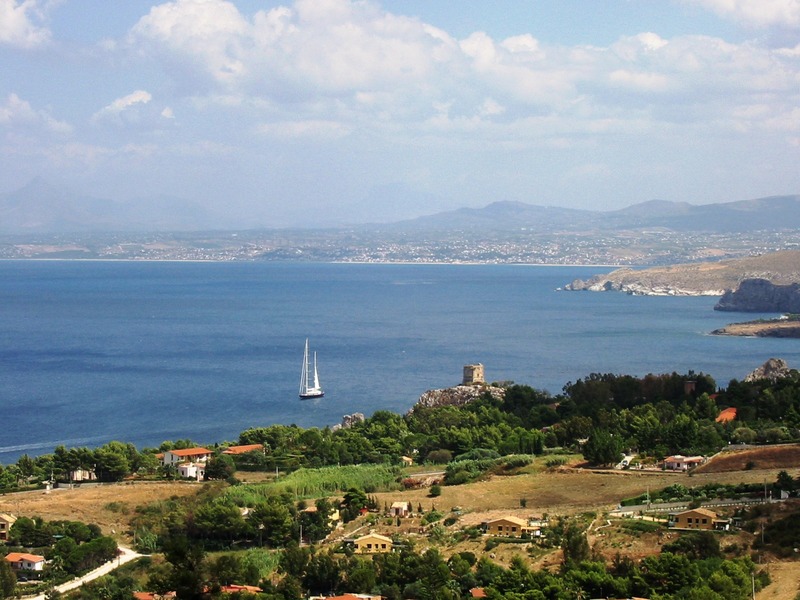 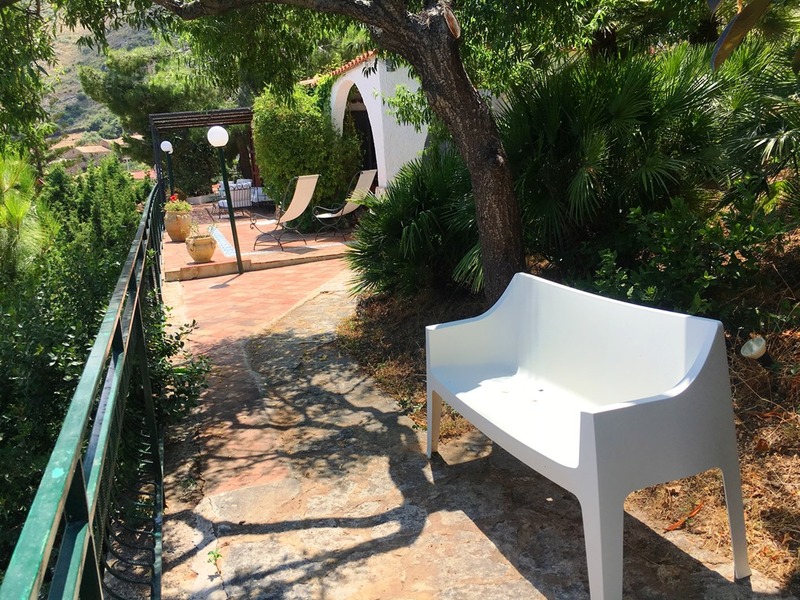 You will then reach the panoramic terrace with breathtaking views on the sea and the beach of Cala mazzo di Sciacca . 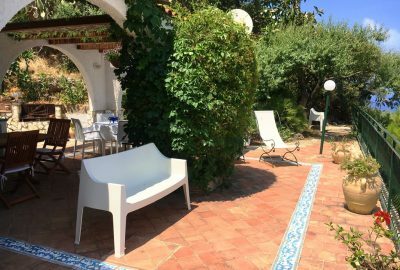 A flowered pergola protects a third seating area with comfortable sofas, tables and sun beds for relaxing and sunbathing. 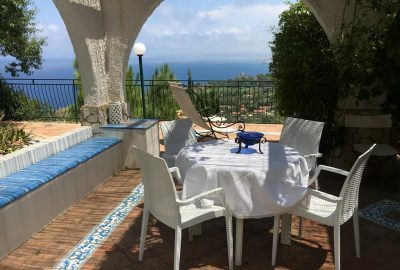 Then you reach the covered terrace that houses two dining areas, carefully decorated and overlooking the sea. 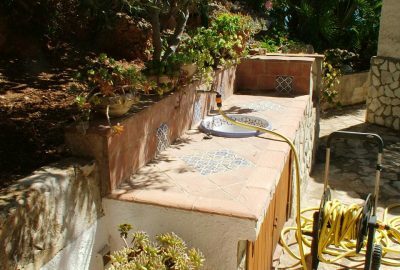 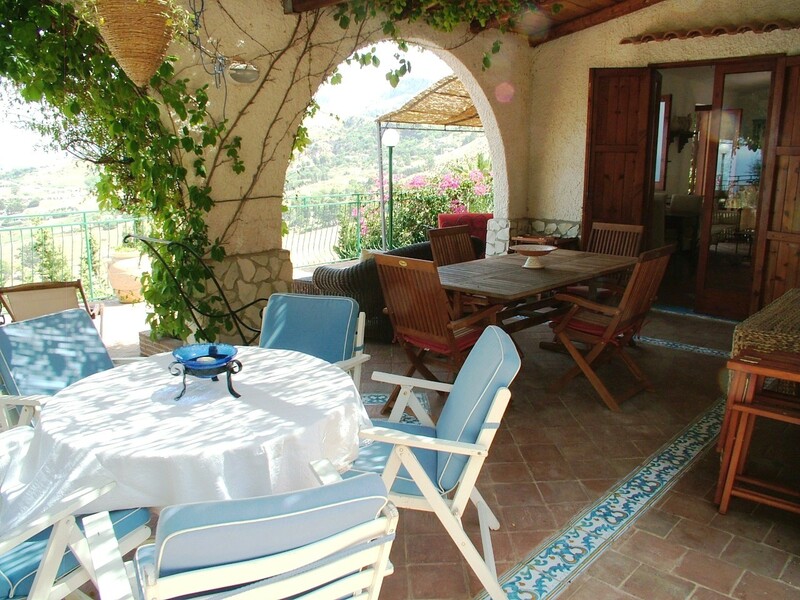 The terrace on the rear of the villa houses the barbecue area and an outdoor shower. 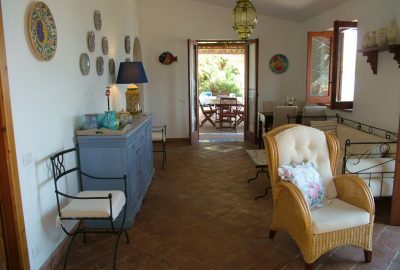 The two entrances of the house open onto a large and bright living room with its large windows overlooking the sea. 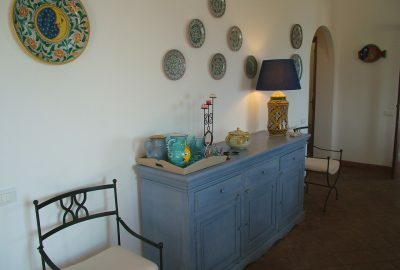 The living room includes a TV corner, a seating area and a dining area. 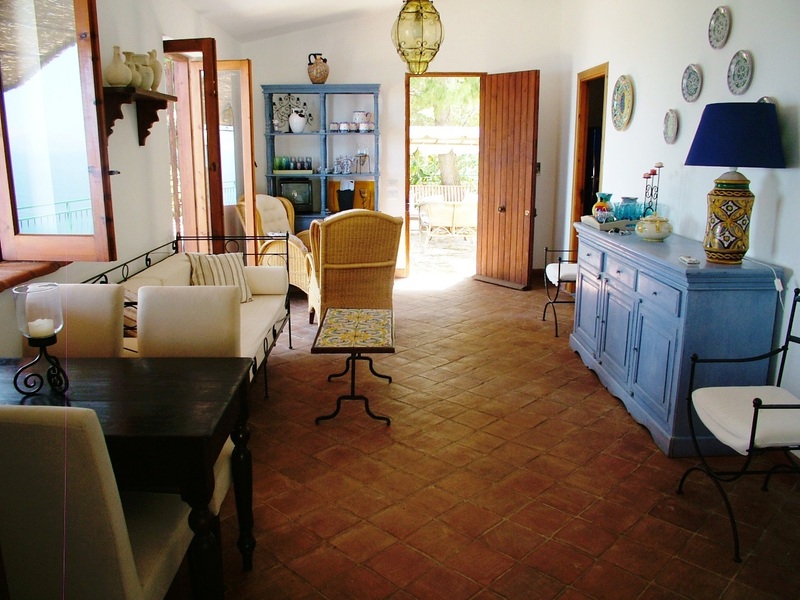 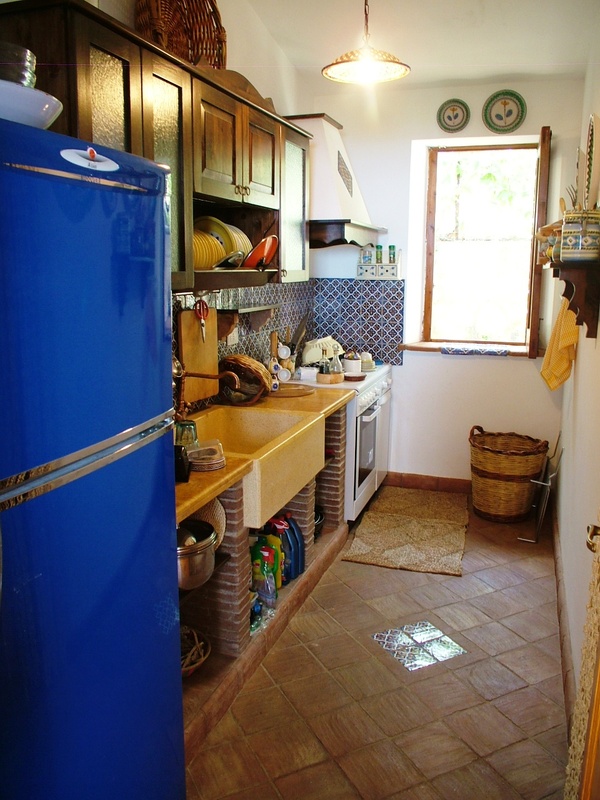 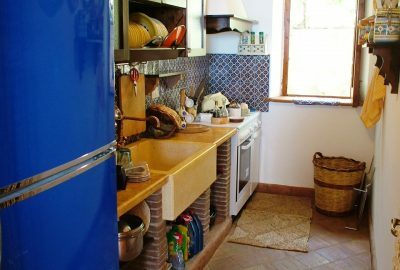 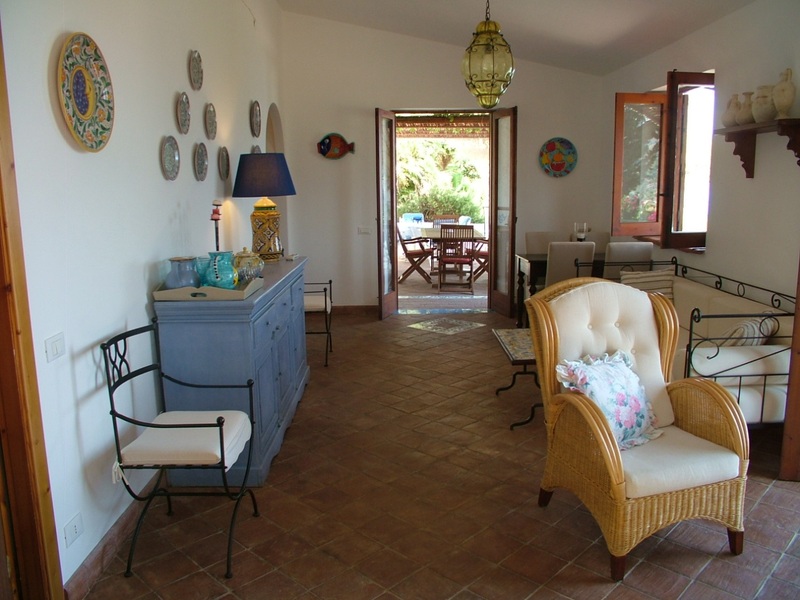 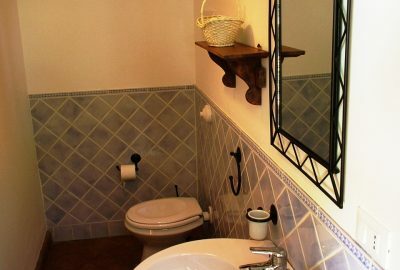 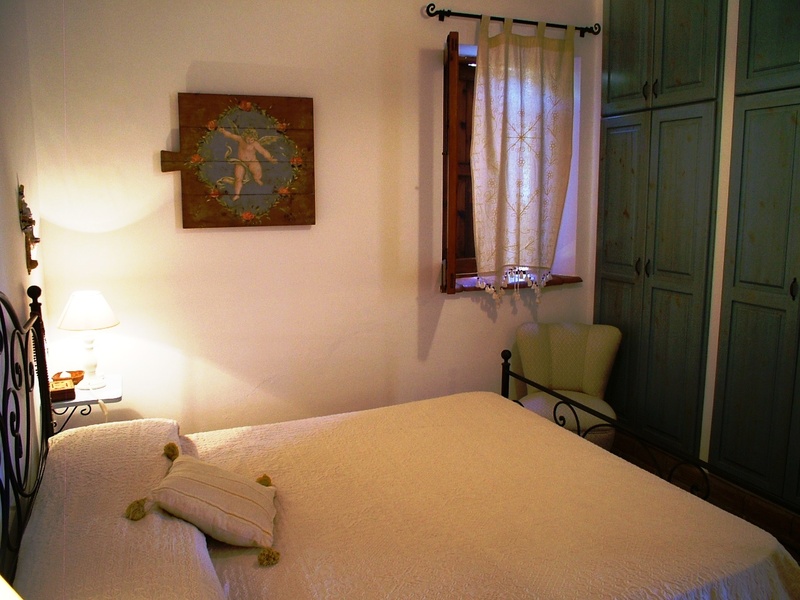 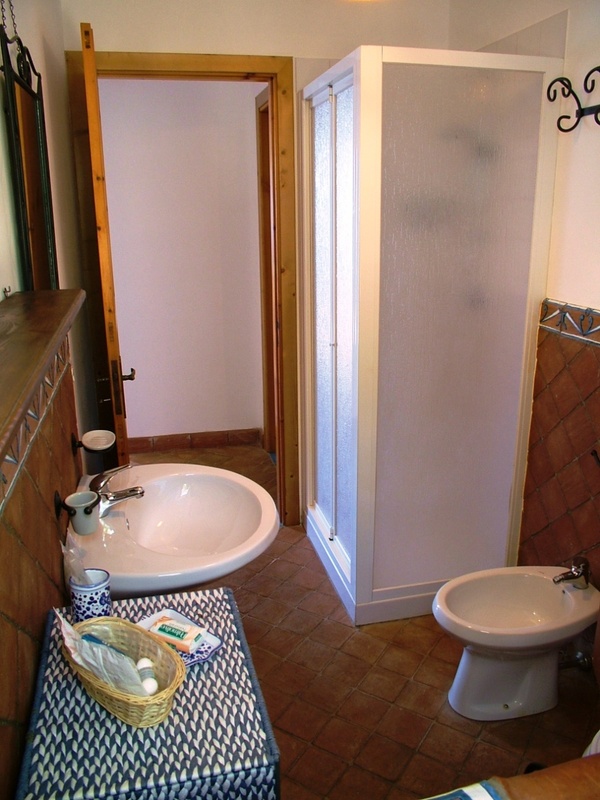 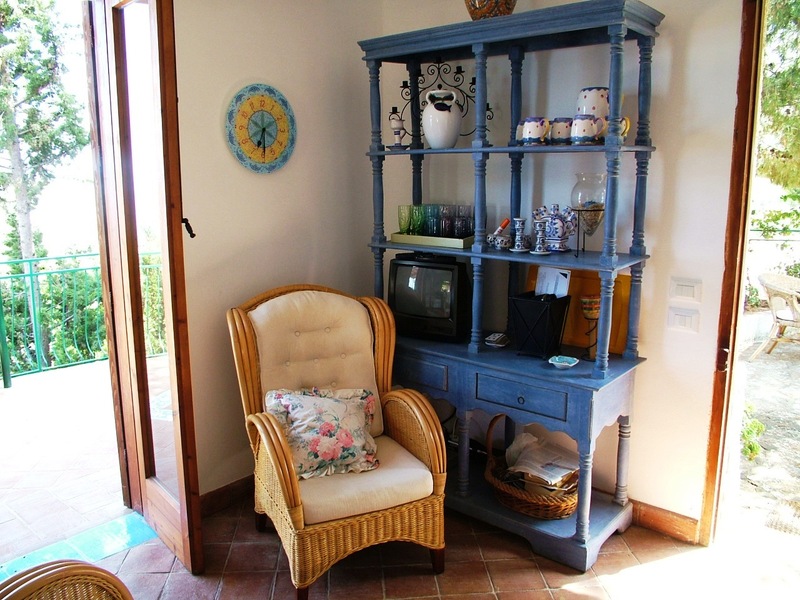 The kitchen is made of masonry with precious hand-painted ceramics and is well equipped. 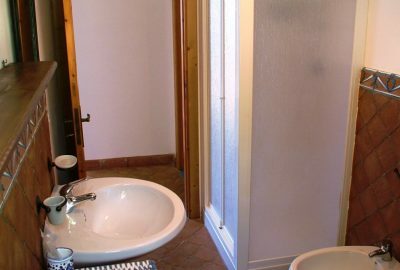 From the living room you enter the sleeping area with a double bedroom with private bathroom that includes a sink, a bidet and a WC, a triple room and a bathroom with shower. 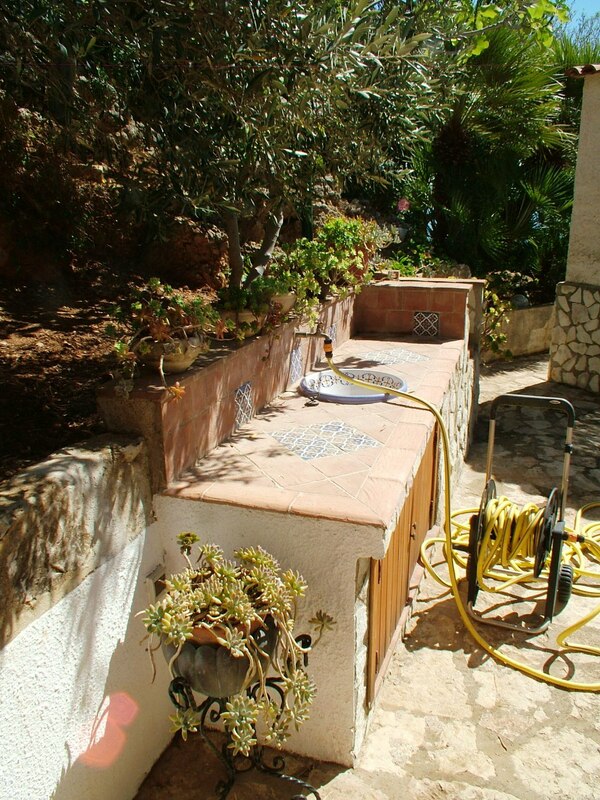 The villa is fully air conditioned. 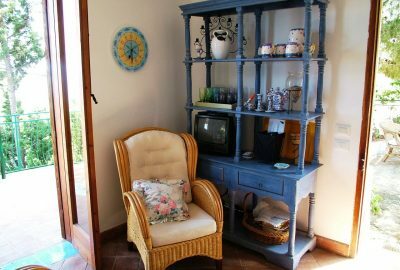 The decoration is very accurate and favors pastel colors creating a comfortable, warm and restful atmosphere. 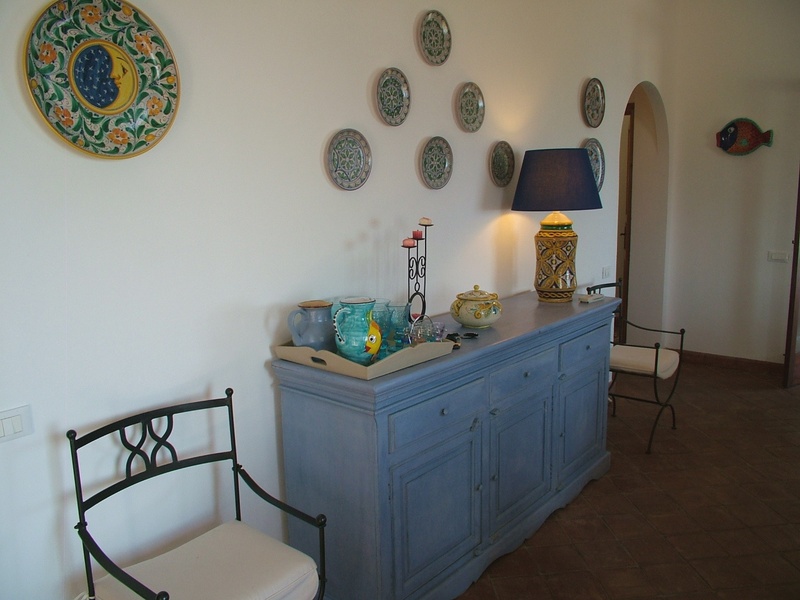 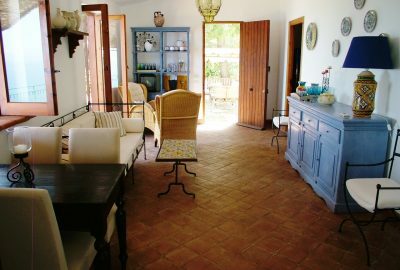 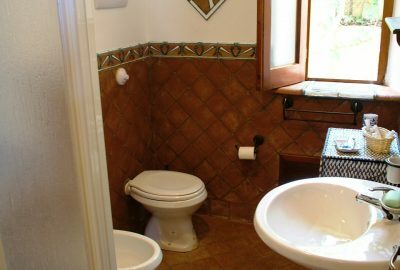 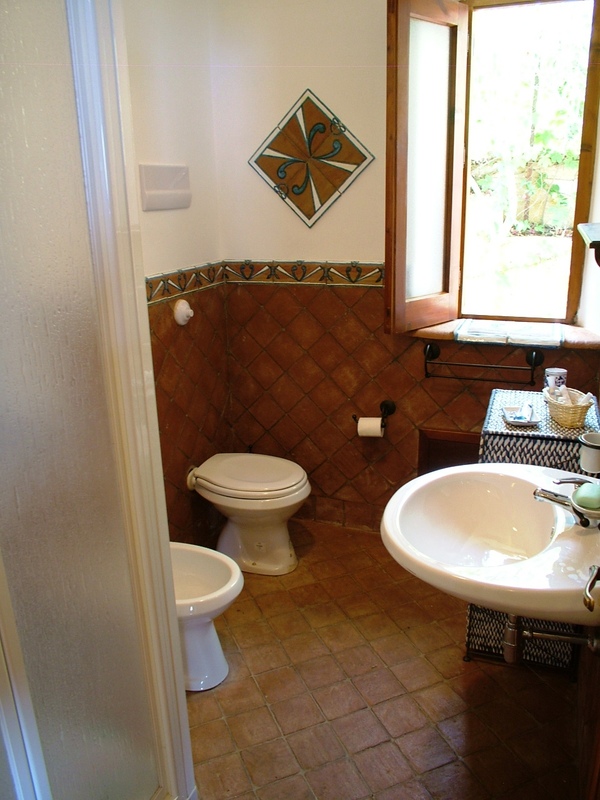 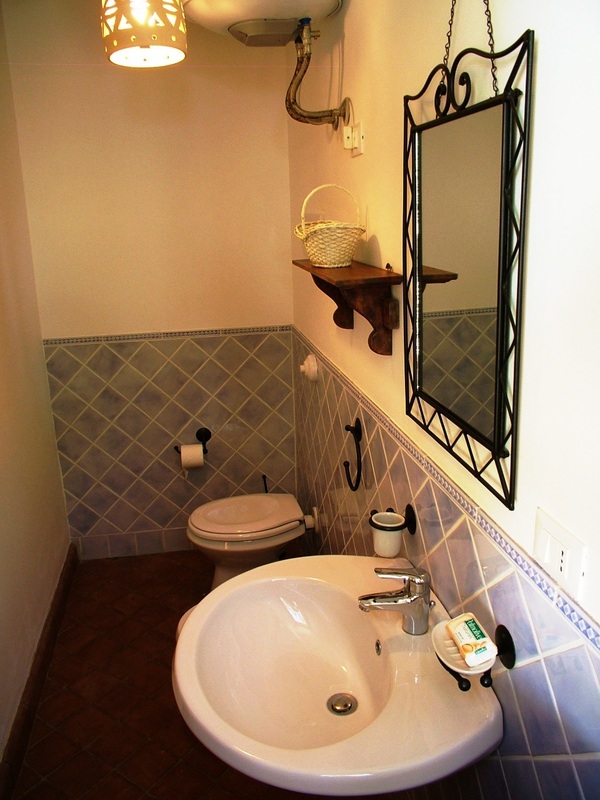 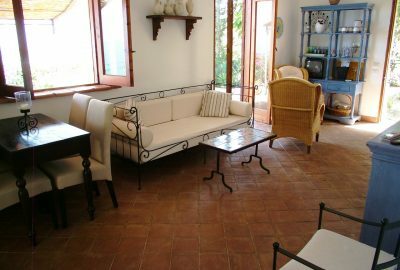 The chosen materials such as the hand-made terracotta for the floor, are of great quality. 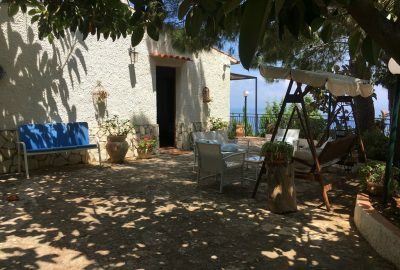 In the garden you will find many Mediterranean plants such as the typical dwarf palms that characterize the natural reserve of the Zingaro. 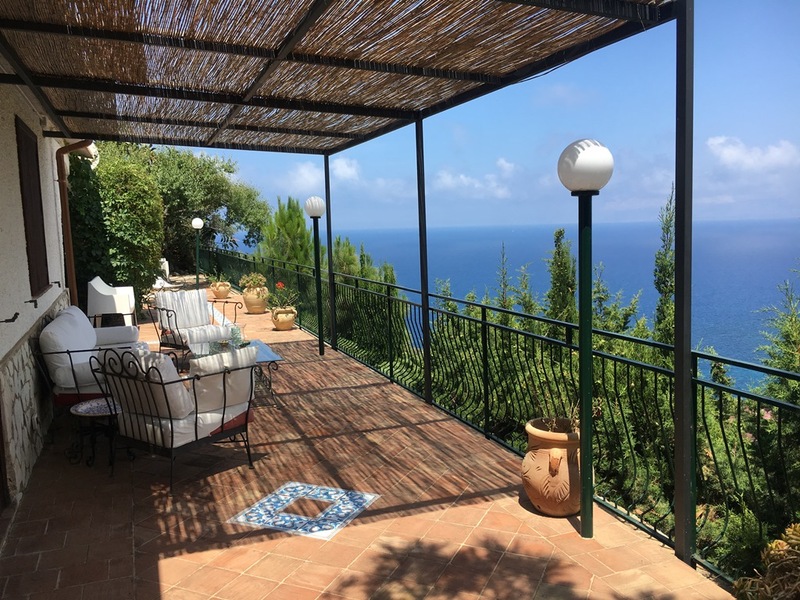 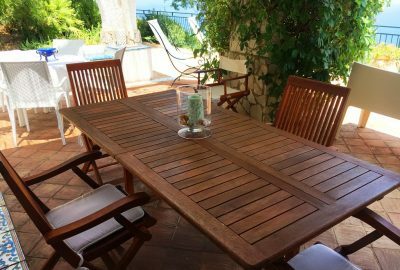 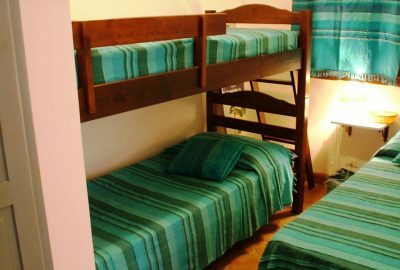 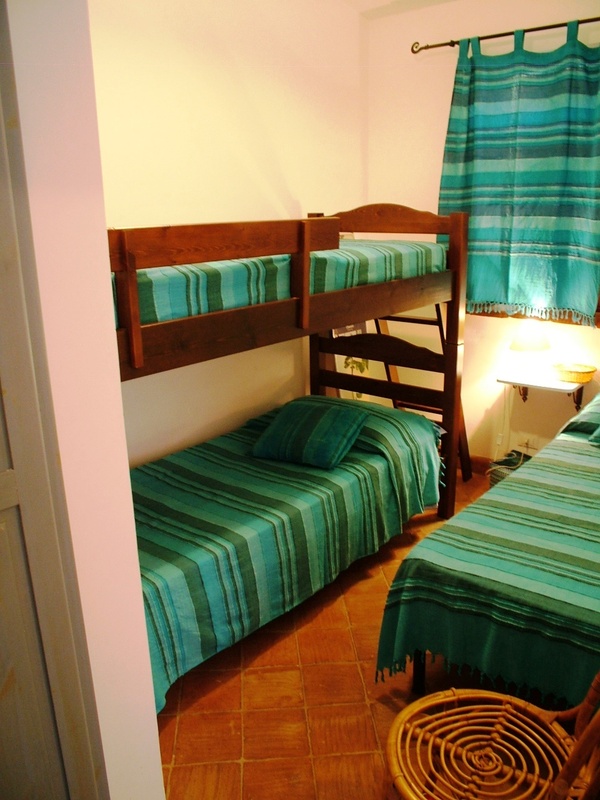 The best points of this holiday house: The breathtaking view on the sea, the privacy, the silence, the proximity to the natural reserve of the Zingaro, the quality of the furniture, the garden, the various outdoor equipped spaces and the comfort.